Back in December, Chester Race Company launched a 12 days of kindness campaign across social media. As part of the initiative, we pledged to donate £500 worth of food and toiletries to local charity SHARE. The charity aims to support families in crisis and people who are homeless within the city as well as further afield through fundraising and volunteering in their city centre store, Share Shop. 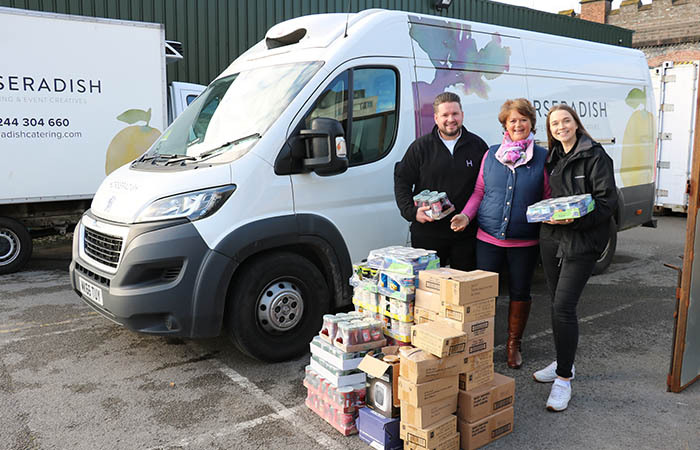 We made the donation earlier this month and handed over tinned food, packet food & toiletries to SHARE ambassador Caroline Cadwaladr. These were taken back to the charity and have been dispatched to vulnerable people across the City.